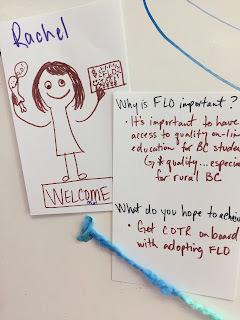 Over the years individuals from institutions and organizations across British Columbia have taken Facilitating Learning Online (FLO) to the next level by participating in the Facilitator Development courseand then co-facilitating one or more of the FLO courses. This group has come to be known as the FLO Enthusiasts. This marks the launch of our Meet the FLO Facilitators series. If you are thinking about offering FLO courses to your faculty and staff, these are the people who can help! What got you started on this path to becoming a FLO facilitator and mentor? Probably my interest started in 1996, the year my family moved from Nova Scotia to Kelowna. It was a tough transition for me: I didn’t know anybody and couldn’t seem to find a job. I credit the internet with saving my sanity. I was able to stay in touch with friends and colleagues from N.S. and I kept busy with some adult education courses and a little online teaching. So outside of family life, my social, professional, teaching, and learning lives were all online. One takeaway from that experience was that you can have meaningful relationships and transformational learning experiences without being physically present with the Other. And I’ve been fascinated by the art and science of making that happen for others ever since. The FLO courses are a perfect fit! What experience and expertise do you bring to this new support role of helping others to adopt and/or facilitate FLO courses? For almost 19 years I was a faculty member at College of the Rockies, working to support and encourage e-learning, educational technology, academic innovation, learning-centered approaches, and faculty development generally. A lot of that work involved helping faculty make the transition from classroom-only to online instruction. Learning to use the technology was only part of the process; faculty also needed support as they learned to teach in new ways, developing skills in facilitation rather than lecturing, and mentoring rather than just delivering content. So I do understand the context! More recently, I’ve completed several FLO courses myself (including the FLO Facilitator Development course), assisted in the development of the FLO Facilitation Guide (workbook), co-facilitated one MicroCourse, and participated in several others. The most reliable way for the first contact is via email (bennett.gina@gmail.com). I monitor my email pretty compulsively. Gina Bennett will be facilitating the upcoming FLO Fundamentals course from April 1 – May 3, 2019 – There are still spaces available! Register today. We are pleased to announce the launch of the Facilitating Learning Online (FLO) Facilitation Guide authored by experienced FLO facilitators Gina Bennett, Beth Cougler Blom, Sylvia Currie, and Sylvia Riessner. 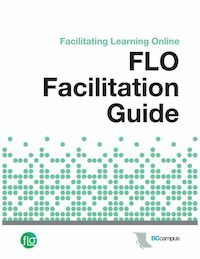 This guide is a companion resource for the five Facilitating Learning Online courses and a valuable addition to the resources designed to help with the FLO adoption process. This guide will benefit individuals facilitating FLO courses as well as any course that emphasizes facilitating in a community of learners and supporting collaboration and reflective practice. It is presented with a consistent structure for each FLO course, making it easy to zone in on exactly what is relevant. Over the next 12 months, the guide will be used by co-facilitators in each FLO course. Through this process, we will identify areas that need improving. If your institution/organization is implementing a FLO course this year, we welcome feedback! The FLO Facilitation Guide, along with all FLO courses, is available for browsing, copying, adapting, or downloading and licensed under a Creative Commons Attribution-NonCommercial 4.0 International Licence. “I’m grateful to have been invited to do this. I wasn’t sure what would come from completing Facilitator Development Online in May. My workload at Yukon College is pretty jam-packed and a full Facilitating Learning Online (FLO) facilitation seemed daunting. Collaborating with three facilitators for a MicroCourse made this such manageable and fun work. “These inter-provincial-territorial-institutional relationships are not easy to build! When I leave Yukon for a 3-day conference, I get to meet other teaching and learning folks face-to-face, but it can be difficult to build relationships in such a short time, with many sessions and things-to-do competing for attention. For me, co-facilitating FLO became such a meaningful way to build relationships – not only with participants, but also with co-facilitators. Even though all our communication was via tech tools (e.g. 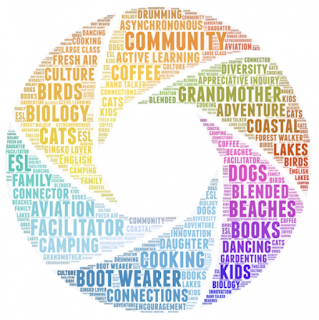 Skype, email, GoogleDocs, Kumu, Padlet, Moodle…), I feel like we made good connections because of substantial, shared work on authentic tasks – something that can be tough to do at conferences. “Co-facilitating the MicroCourse has been GREAT. I was a bit apprehensive beforehand and felt I hadn’t done enough preparation for this. (I think I tend to over-prepare.) I was impressed by the quality of ideas people posted within such a short timeframe. One participant even offered a promotion statement! Who are FLO MicroCourses for? An emergent and practical course topics. Contact me if you have topic ideas for future offerings or would like to co-facilitate! 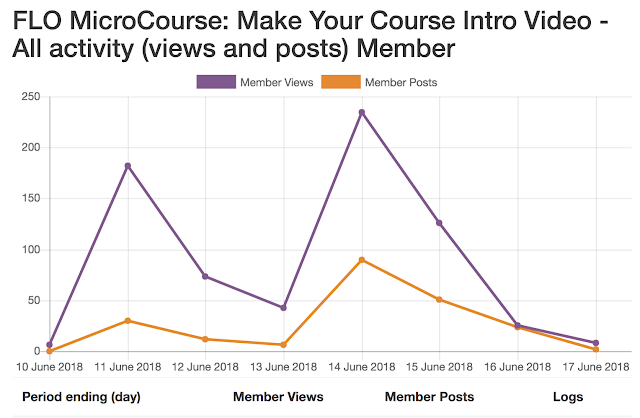 In June we kicked of our first MicroCourse called "Create your course intro video". It was an absolute privilege to be invited to co-facilitate the first ever MicroFLO course with Sylvia. I was very surprised with the opportunity, as I had just finished taking the Facilitator Development Online course (FDO) just a few weeks prior and the information was still sinking in. I was totally not ready to co-facilitate with the things going on with at work and the fact that I haven’t even taken the FLO course yet. But without hesitation, I decided to dive into the deep end of the pool. I’d figure it was an excellent opportunity for me to take what I’ve learnt from the FDO course and apply it to this MicroFLO course. 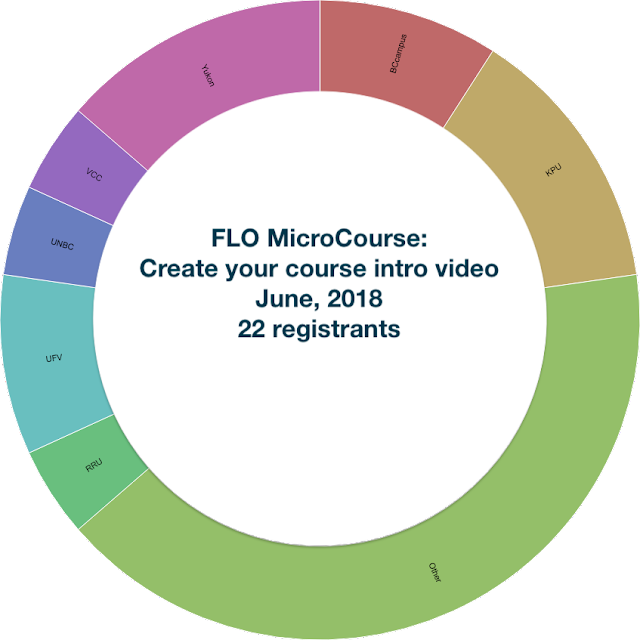 Unlike other FLO courses, the MicroFLO course focuses on one topic and is only a week’s time. I think this allows participants to focus on that particular topic and hopefully those who participates are really passionate about that specific topic also. The amount of time required to spend on the course is very flexible, but of course, the more invested, the greater the return. One thing I learnt from co-facilitating this MicroFLO course was to not underestimate the abundance of knowledge that is shared amongst the participants. At first, I was afraid of the lack of contribution or what if no one would respond or comment on each other’s work. I found that with co-facilitating, it is hard to gauge the need to respond or not respond to a discussion. 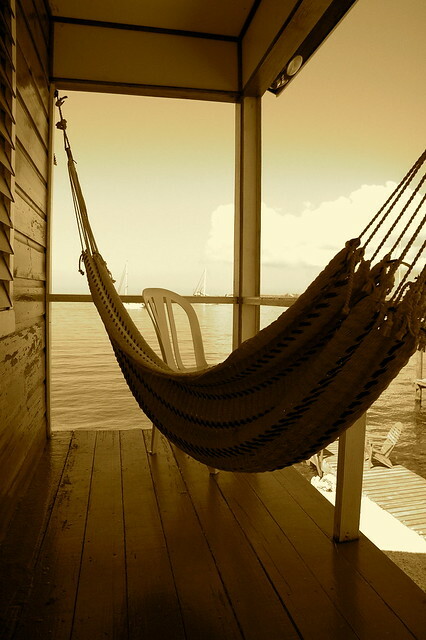 Sometimes it is better to be silent and allow other participants to take lead or respond with an affirmation. And other times, you feel the need to take charge. The second thing I learnt is to be open to suggestions and feedback. Obviously, what is good to some may not be good to others. I’ve provided an example demonstrating universal design for learning, while it echoed for some, but the video sample was not perfect and some caught other parts which could be improved. I take it as every feedback is an opportunity to improve the next time. Lastly, I learnt that you need a co-facilitator that balances with your life well. And Sylvia was exactly that. I had a more technical background and she had more of the facilitation background. I am a night owl (catching most of the activities at night), and she’s the early riser (catching most of the activities in the day time). I think that complimented very well. Until the next FLO, keep flowing. The level of participation in the course was perfect -- enough to make it interesting but not so many we felt overwhelmed. Registrants showed up from a variety of institutions, including out of province and international. As always, you expect more registrants than active participants in a free course, but the ratio was good. 11 individuals submitted video projects and all were peer reviewed. Friendly congenial group and instructor energy, great feedback and this was something I had been intending to work on for a long time - the course gave me the motivation to plunge in and start making intro videos! Overall, it was a great experience and we're looking forward to the next FLO MicroCourse, Creating and using rubrics, which runs September 17 - 21, 2018. Our facilitators will be Jacquie Harrison from Vancouver Community College and Bettina Boyle, Capilano University. 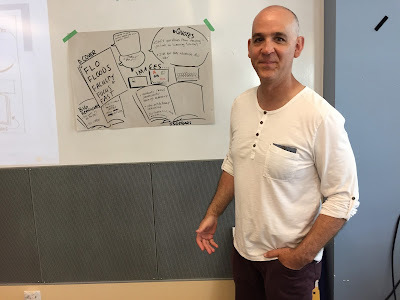 I am currently co-facilitating the 2-week Facilitator Development Online (FDO) course with Ross McKerlich from Okanagan College. In this course, as with all FLO courses, we're all about reflective practice. Participants are asked to share out some nuggets at the end of each week. As facilitators, reading through these entries is when you really get a feel for how things are going. I highly recommend it! We have a synchronous panel session scheduled this week with past FLO facilitators. They will be sharing their tips and experiences and I can bet one of them will say having co-facilitators is the best thing ever. This week Ross had a fun adventure planned with his son that would take him offline for a few days. No problem! The key is finding the best way to work together. You learn from one another, you share the workload, and you need to be efficient. 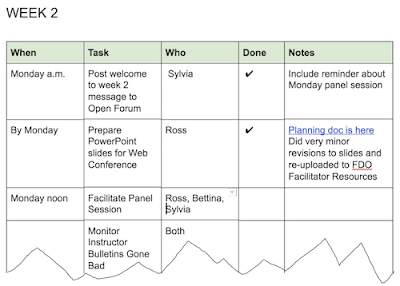 Google Docs for planning works wonders for that! We had such a variety of tools and formats! Something that really stood out for me was the use of low-tech in such effective ways. One video intro was done standing in front of a whiteboard with extra info and thought bubbles drawn on it. Also, in a Flipgrid intro, a participant held up a card with "hi" handwritten on it. It seems like such a small thing, but it told me a lot about that individual. The design of FDO invites a lot of quality contributions and peer review. It's fabulous. However, what I notice is that it doesn't provided opportunities to model good, inclusive dialogue. Since most replies are directly related to the original post (as opposed to weaving several posts and ideas together), there is a tendency to fall into one-to-one communication. 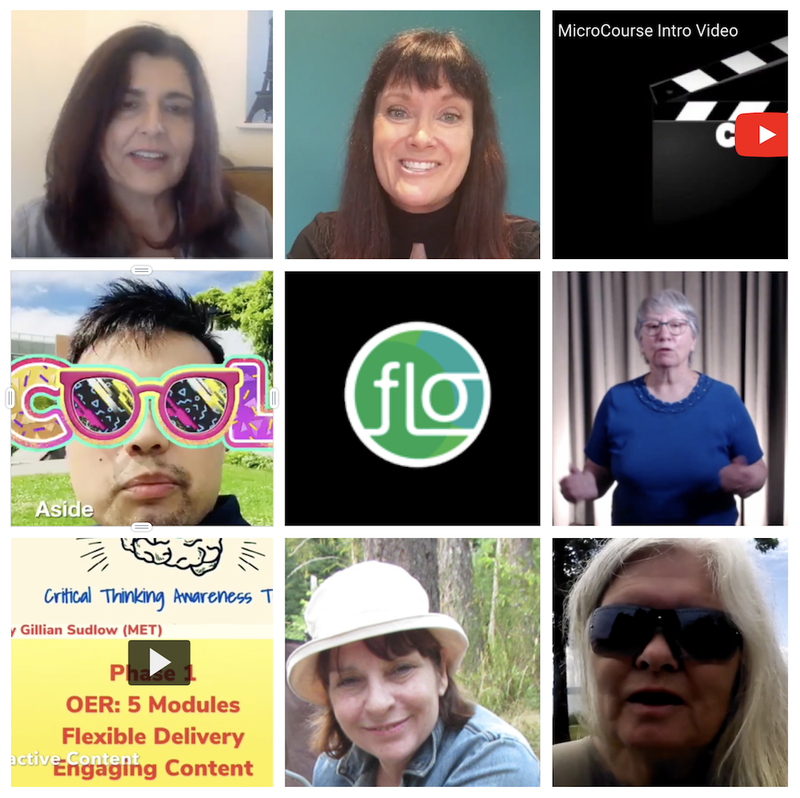 Over the years FLO Enthusiasts have been refining and growing the collection of Facilitating Learning Online (FLO) courses, affectionately referred to as the “FLO family of courses”, and there’s no stopping us! Here’s a glimpse of what the future holds. We’ve listened to your feedback and FLO will become more affordable and more modularized. We will still run our 5-week Facilitating Learning Online – Fundamentals course (October 1 – November 2, 2018), but in an effort to reach twice as many people it will cost half as much! Further, the first 3 registrants will receive a super deal. Register for the October FLO Fundamentals course here! Beginning in June 2018, we will roll out our first FLO-Micro course. Short, free, and focused, these online courses will provide an opportunity to dip into the FLO experience and leave with something practical and useful for your own teaching practice. As community-based service learning offerings, FDO and FLO-Micro are free in exchange for your commitment to participate in course activities. All of this new development to prepare facilitators is underway. Meanwhile, join the 58 educators representing 16 B.C. post-secondary institutions who are on the pathway to becoming awesome FLO facilitators! The next FDO course runs May 7 – 18, 2018 and is facilitated by Ross McKerlich, Education Technology Coordinator at Okanagan College, and Sylvia Currie. Register for the May FDO offering here. As always, FLO courses are openly licensed and available for institutions to implement in-house. Browse or download (Moodle) the courses in SOLR. Registration is open for the Facilitator Development Online course which runs May 7-18, 2018. This is an intensive 2-week program to prepare you to facilitate FLO workshops. I will be co-facilitating this course with Ross McKerlich from Okanagan College, along with other FDO alumni who might wish to step in to help out. This is what I love about FLO -- the ongoing collaboration to keep the facilitation spirit and skills 'fLO'wing! There is no cost to enrol, only a polite ask for commitment. The course remains open to participants after the completion date. After all, the workshop experience is really all about what the learners contribute -- rich discussions, and artefacts they plan to re-use in their own facilitation. Participants are invited to return to participate or assist in future workshops, also at no cost. The learning experience relies on the distributed expertise of the members. The workshop facilitators take on the typical tasks: welcome, model, clarify, support, advance dialogue, etc. However, the to-become-facilitators share that role, and are invited practice. Past FDO alumni are encouraged to share back -- new ideas, experiences with implementation, etc. The workshop space is available to registrants only. However, everyone is encouraged to share out using social media. There is no pressure to "complete" -- the learner decides when the outcomes have been met. It's all about what individuals are willing to invest. 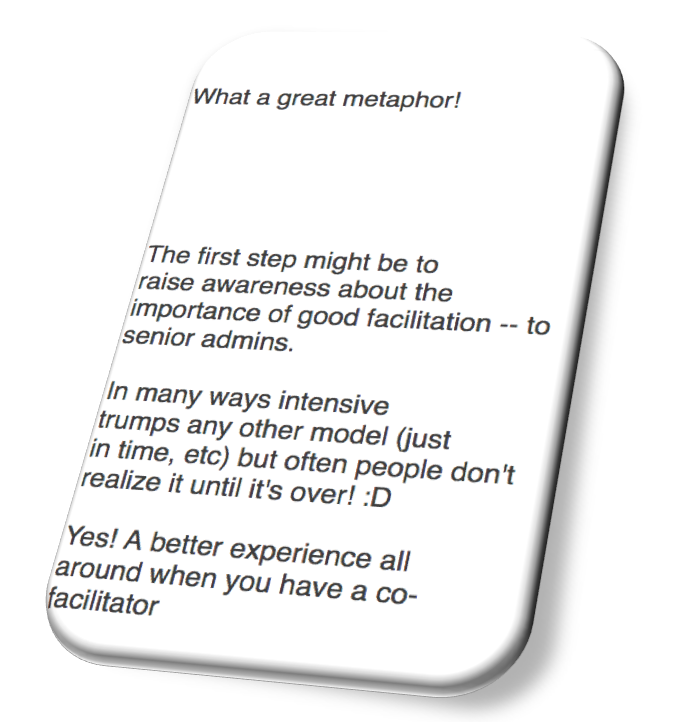 The opportunity to take facilitation to the next level is always there! 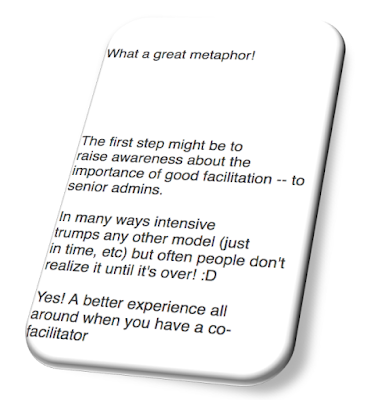 Do you want to take facilitation to the next level? I hope to see you in FDO! 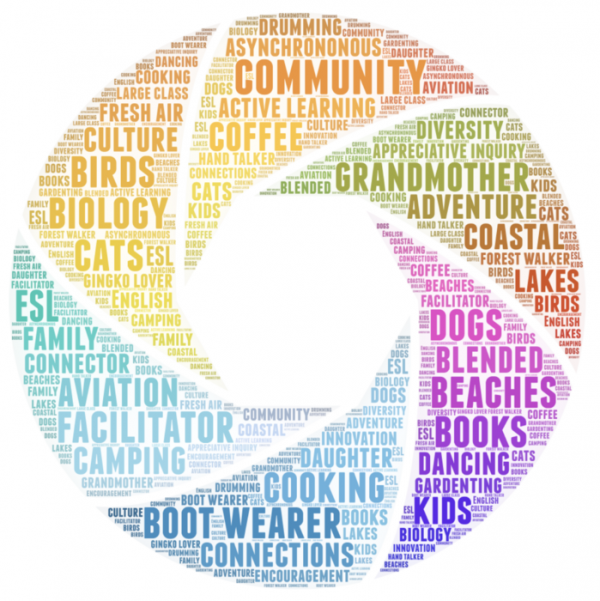 The Festival of Learning (May 28 - 30, 2018) is a biennial conference that brings together multiple groups and individuals with an interest in advancing their work as educational professionals. The organizers of the event also encourage participation from students, and I hope many take them up on that invitation! For starters, I can't wait for the student panel on Tuesday morning facilitated by one of my favourite people, Jonny Morris. This year I submitted a proposal very close to the deadline and right before taking off for the Christmas holidays -- not enough time to round up collaborators. I still plan to do that! UPDATE: Ross McKerlich from Okanagan College will be co-facilitating the session. So happy to share this news! The Facilitating Learning Online (FLO) – Fundamentals workshop has been implemented through BCcampus since 2013. During this time three new FLO workshops were developed, one of which is designed to prepare upcoming FLO facilitators, and each offering of FLO workshops provides an opportunity for these individuals to practice alongside experienced facilitators. 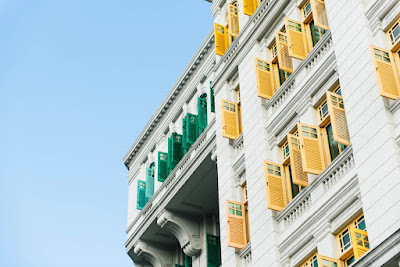 In addition, all participants provide input into design and content revisions, a process that has been successfully managed because of the small scale of the project. Ultimately, the goal of designing and hosting FLO workshops at BCcampus and preparing future facilitators is so others can successfully implement a high-quality experience for faculty and staff. All FLO workshops are openly licensed and available for institutions to implement in-house. Several B.C. institutions and non-profit organizations are actively exploring options for FLO adoption. Typically support for the adoption of open educational resources (OER) centres around evaluation, and mechanics of using the resources – how to check for relevance and quality, how to integrate into a course environment, and so on. The focus is on the receiving end of the resources. However, those involved in FLO facilitation and implementation, affectionately called FLO Enthusiasts, agree that there are specific elements that make FLO flow, so to speak. In other words, adoption goes beyond handing over the content. The success of these workshops requires an ongoing effort to advance the use of these OERs as a collaborative effort. In this session, we will explore the Facilitating Learning Online (FLO) family of workshops as a case for establishing a “handle with care” model for open educational resources (OER) adoption that both engages and serves a community of adopters. We will draw on experiences and expertise from session participants to sketch out a model that is functional and realistic. At BCcampus we're currently offering the 4-week Facilitating Learning Online (FLO)-Design course for the first time since running the pilot in January/February of this year. 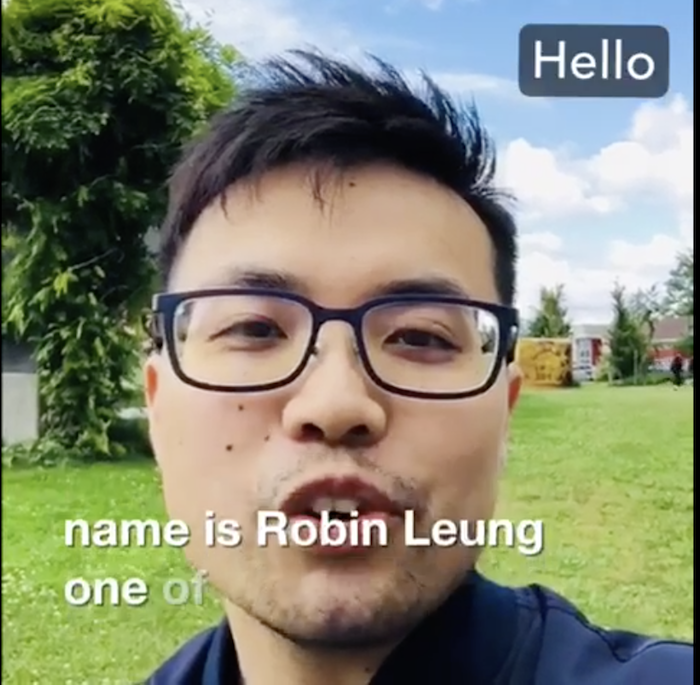 During the first round, the course designer and facilitator, Sylvia Riessner, invited a group of Facilitator Development Online (FDO) alumni to join in a 'splainers activity where we each shared design stories, online, in 7 minutes. We also shared written outlines, and were available afterwards for a Q&A in the forum. The 'splainers were Bonnie Nicholas, Beth Cougler Blom, and Stephanie Boychuk. Sylvia Riessner also shared a story. Preparation for this session was almost as much work as PechaKucha! As 'splained by Lee LeFever of Common Craft, "explainers don't simply explain ideas, they bring focus and attention to making an idea easy to understand. Their communication is intentional and goal oriented." So we needed to be concise, zone in on important details, and keep it to 7 minutes. The Explainers, with the attached forum, was very useful. They made "Design" real and applicable. During this offering of FLO-Design Sylvia Riessner and Emma Bourassa shared a couple of the stories from the past session. (I don't think they could fit the full 'splainers activity in this round because we have almost double the number of registrants.) This got me thinking about FLO and the challenges of open practices. With FLO workshops, we are always playing with this tension of closed versus open learning spaces. It's a topic that has been on my mind a lot lately as I imagine the future of FLO courses and the facilitator community. 'Splainers is an example of an activity that would benefit faculty and learning designers outside of the course. Why put in the effort when such a small number of people (15) benefit? For many reasons, this activity rightly belonged in a closed space. For one, the individuals who were listening and engaging in the stories were strongly relating to their purpose -- at that moment these people were living and breathing course design. It wasn't an activity that someone could happen upon and make sense of without adequate context. A second reason is that, despite best efforts for anonymity, some stories that were shared contained details that might be recognized by design clients or university faculty. This experience stands out for me because, as someone who has felt challenged by moving from facilitating in the open to working in password-protected cohort-based learning spaces, I am appreciating more and more how difficult moving in the other direction can be -- from closed to open. We need to consider the trade-offs, and not feel pressured to adopt open practices. Open does not mean better. I shared the story of SCoPE seminars, a series spanning 10 years and came to a close in 2015. This was uncomplicated because those activities were all designed to be open from the start. This is the outline I worked from. I’m part of the professional learning team at BCcampus. My focus these days is mostly on supporting all things related to Facilitating Learning Online workshops. I designed this as a coordinator, moderator, and facilitator, in collaboration with participants. 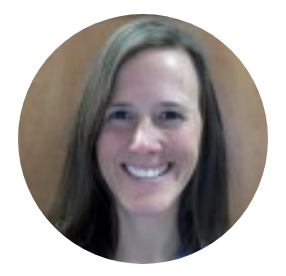 I wanted to provide flexible, open opportunities for educators to learn together about topics relevant to their work as teachers, educational technologists, administrators, and researchers. I also wanted to engage educators in the design process. The “problem” I was trying to address was the limited number of authentic and emergent learning opportunities for educational practitioners. For example, face-to-face “training” to learn how to teach online was/is commonplace. The format was informal, open enrolment, and non-credit. However, many of the design principles can be applied to credit courses. This was more like an online series than a course, spanning 10 years! It has been described as one of the first, and an extra long, MOOC. We called it a seminar series. Although the home base for these (almost) monthly, topic-based, events was an LMS (Moodle,) the access was completely open. We also experimented wildly (not a typo :) ) with other tools and platforms. An account and login were required to contribute to forum discussions and manage participation settings, but otherwise anyone could read along, download resources, etc. Focus on structure, not what to "cover"
How often the course/workshop design has been tested? The basic format was repeated each month, for 10 years. This model relied completely on volunteer involvement, and keeping a pulse on the conversations to see what topics might be suitable for future seminars, and who was developing as a potential facilitator. 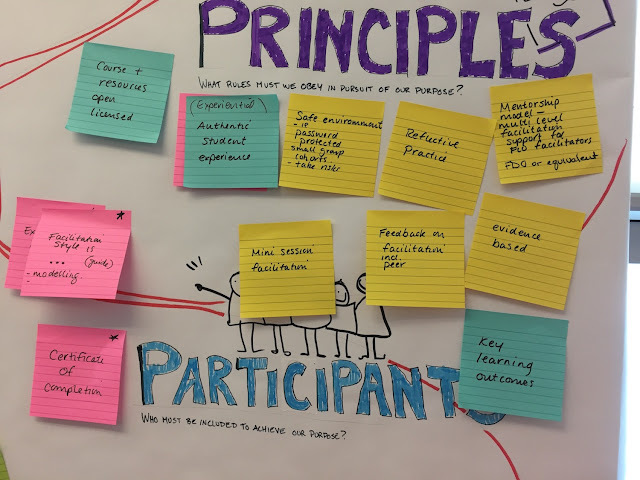 While the structure of scheduled, facilitated discussions was carried throughout, there was a great deal of flexibility, experimentation, and risk. Not only did the topics for discussion emerge, so did decisions about design. In other words, we designed for redesign. What did you learn about your design approach? Don’t base the success of your design on what you see in front of you in the moment. Impact can show up later and elsewhere. Encourage institutions to adopt FLO, and to share opportunities and resources with each other - sharing agreements? Beth Cougler Blom, Sylvia Riessner, and I (aka SylviaC) were the facilitators of the facilitators :) and used a variety of facilitation techniques (purpose to practice, low-tech social network, cover story, min specs). Twelve enthusiasts contributed to the process and outcomes for the day, resulting in a set of recommendations. 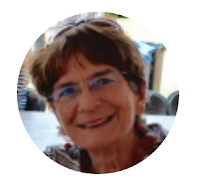 See Sylvia Riessner's excellent Flexing Facilitation Muscles article that summarizes each step. This list is comprehensive and a more than a little bit intimidating! As a community of enthusiasts with limited time and funds available, we promise to do our best to carry out these recommendations.